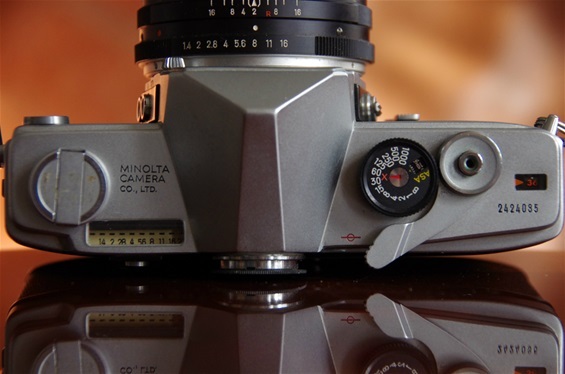 With the exit of Minolta in 2006 , though brought on by Sony, another proud brand was lost. 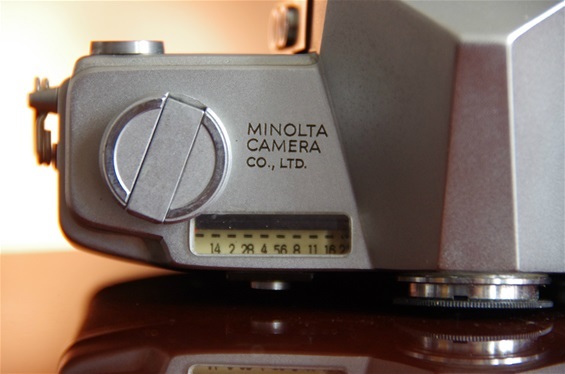 Minolta (or Chyoda Kogaku, as the company was called earlier) was founded in 1928. 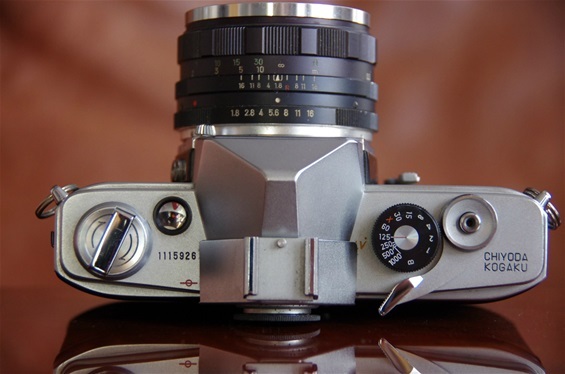 They built up their name by producing solid 35 mm rangefinder cameras, and, like most other Japanese producers, they were looking at the heat leader Leica and did not quite catch what was going on as East-German, Italian and Hungarian producers were developing their new cameras. 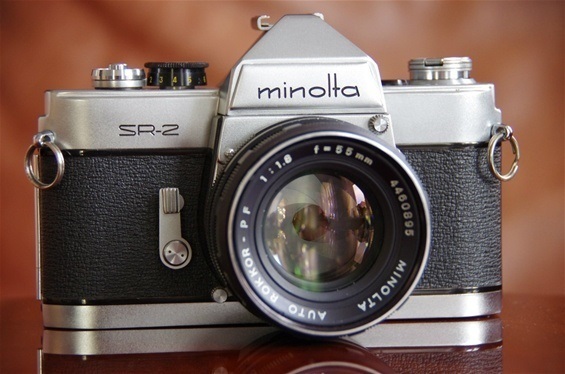 But when they saw what was growing in the field of PP SLR, they introduced their first, the SR 2 in late 1958. From then on, they kept up their reputation introducing innovative cameras at a high level. Minolta was always struggling against the giants and was squeezed between them. 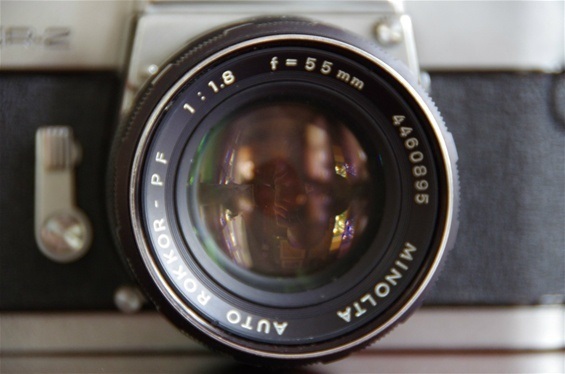 First between Pentax (mass producer during the 50s, 60s and 70s) and Nikon (high level), then between Nikon and Canon, who reentered the scene to take increasing market shares from mid 70s. Although Minolta always made technically good cameras, they never got payed back. 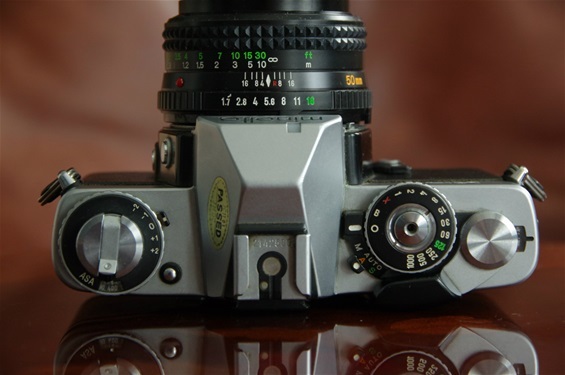 They had great success with the worlds first well functioning auto focus slr,the 7000 AF Alpha/Dynax/Maxxum, but had to pay an enormous fine for having been to close to Honeywells Visitronic patent. The merger with Konica in 2003 was a desperate attempt to get more muscles, but it did not help. 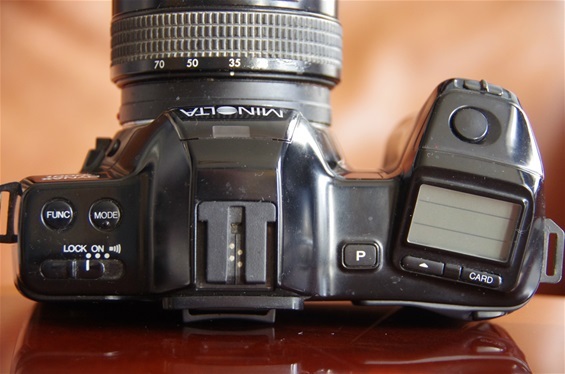 Although Minolta had released a digital camera in 1995, the unsuccessful RD 175, it took them almost ten more years to come up with the follow-up DSLR. The cameras, 5D and 7D, got good remarks from the photo press, but lacked the supporting promotion like that of Canon and Nikon, and sales was disappointing. As from 2006, the Konica Minolta camera Division was sold to Sony. From that day the proud Minolta name is only to be found on historic cameras. The company still lives, though, and is doing well in the copying business, still together with Konica. 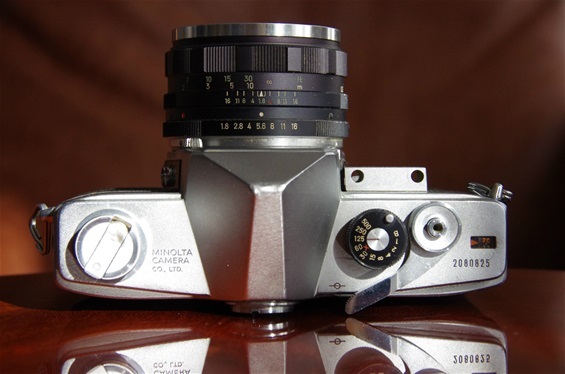 Minolta was among those who had Leica III as a leading star for too long, not being forefront in the PP SLR develpment during its first years. Still they entered the scene before Canon and Nikon, and always made quality products. Here is the rather uncommon SR 2, that, in spite of the name, came one year before the very much more available SR 1. The SR 1 was less expensive with shutter speed to 1/500, not 1/1000 as on the SR 2. Size: 144x93x52 mm. Weight: 678 grams. Proprietary lens mount that was kept until introduction of AF in 1985. Sn. 1115926. So called automatic, but in reality it was a kind of semi-automatic system where the lens opened to ful opening as the winder was cocked, like on the russian Start from the same year. Auto-Rokkor 50/1,8. 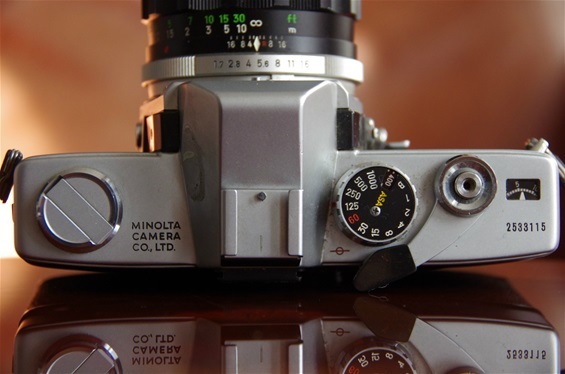 Minolta introduced their own bayonet mount. Sn. 4460895. Clean lay out. Winder spins around release button. The SR-1 was released in 1959 as a budget model of their first PP SLR, the SR-2 of 1958. Almost identical exterior, except for the light meter platform over the self timer lever. Sn. 2080825.
very much like the SR-2, but no 1/1000 shutter, and counter is moved to the right hand side. 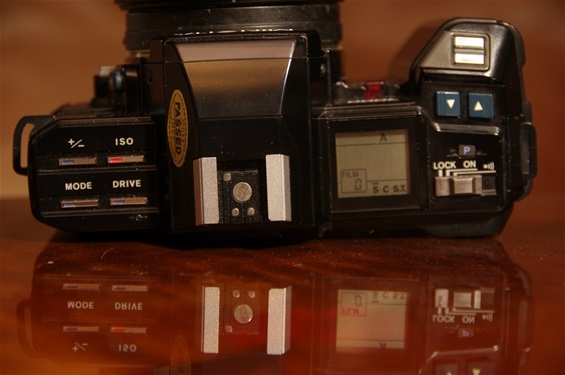 Minolta was the first to put the CdS meter inside the camera, placed in the upper left front. Pro: built-in was better than external gadgets. Con: not as direct on the subject as the Pentax (center) or Nikon (slightly right) meters. Sn. 2424035. Close up on the metering system. 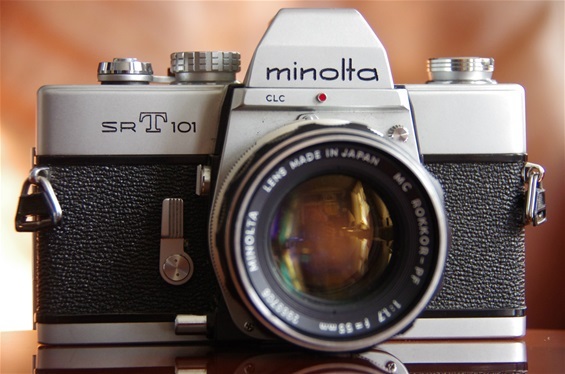 The SRT 101 of 1966 featured CLC TTL metering, a contrast based system made by Minolta, who claimed it to give a more exact metering than the competition. A high volume seller, though clearly behind Asahi Pentax Spotmatic. Sn. 2533115. 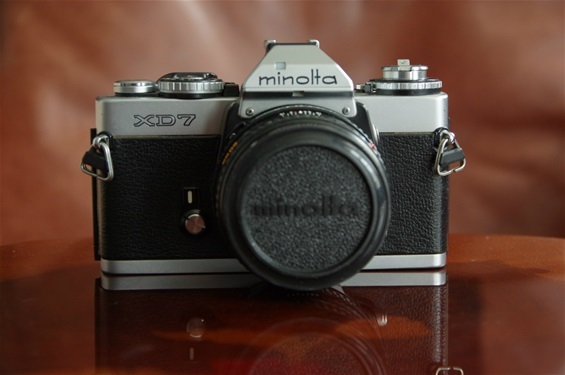 Chyoda Kogaku became Minolta Camera from the introduction of the SR-1 in 1959. 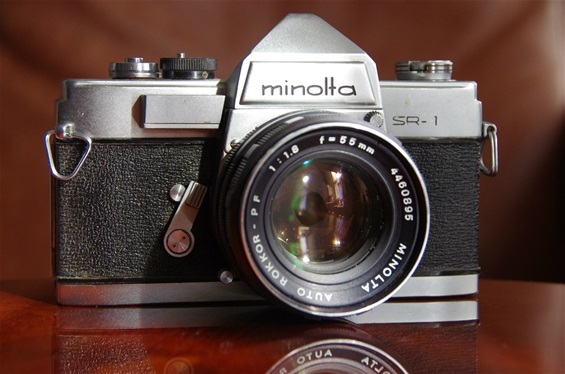 The SR T 101 had a typical Minolta design with winder spinning around trigger. As Pentax and Canon had started the race towards full automation, others had to follow or leave. 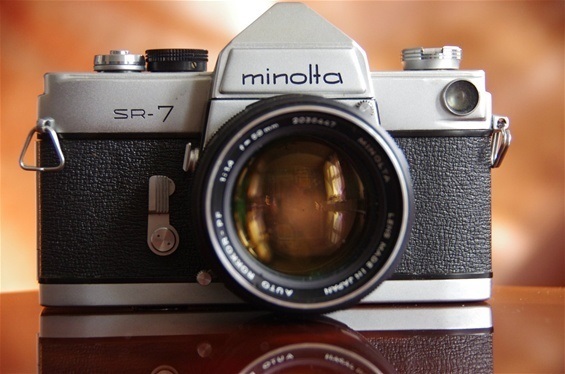 While some tried to copy the Canon (and Pentax) success, Minolta went further, as they introduced worlds first double program slr camera in '77. The XD7 (XD or XD11 in some markets) let you chose between electronic shutter or aperture control. 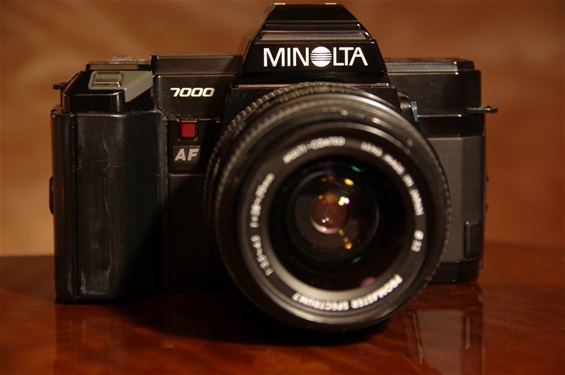 Though not being the first SLR with auto focus, the Minolta 7000 AF (Dynax, Alpha, Maxxum) was the first well working and comercially successful Auto Focus PP SLR, launched in 1985. BUT: Minolta was sentenced for having used a system patented by Honeywell of USA. The fine was extremely high, and Minolta struggled economically ever since. Sn. 17243728. Typical mid to late 80s layout, very much initiated by this Dynax. 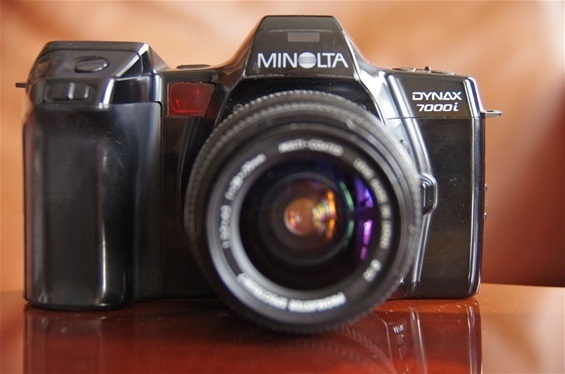 The Minolta Dynax 7000i from 1988 developed the 7000 further and was an answer to Canons EOS 650 from '87. A faster shutter (1/4000), 3 f/s shutter and an improved AF-system was among the news. besides, it introduced an expansion card system where one could add other features to the camera by inserting cards. The 7000i had a redesigned top, as one can see. Fewer buttons means more through the menu. Nicer, but not faster. Note the card-button to the right. See above.